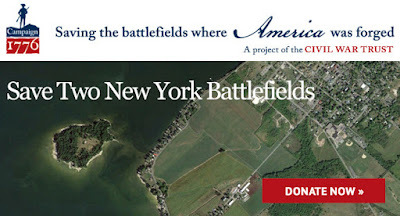 10mm Wargaming: Save The First Acres in New York! Just one year after the Declaration of Independence was signed, the cause of American sovereignty was still very much in doubt. British troops under General John Burgoyne planned to isolate New England from the rest of the colonies by marching down the Hudson, capturing Albany, and establishing a chain of outposts from New York City to Montreal. After suffering defeats at the hands of Burgoyne's army, Americans decided to make a stand at Fort Ann and take the fight to the enemy. Roughly 300 Americans attacked a detachment of 200 Redcoats, leading to a confusing firefight in the woods above the Hudson. The Americans got the upper hand, forcing the British to fall back, but both sides continued the fight until they had exhausted their ammunition. Fear of approaching reinforcements caused the Americans to withdraw, but not before reminding Burgoyne the Americans were willing to fight hard to win their independence. Thirty-six years later, during the War of 1812, British forces again planned to deliver American troops a crushing blow by striking the U.S. naval base at Sackets Harbor, New York. On May 29, 1813, British troops landed on shore and quickly forced American militia units to fall back. Just as all seemed lost, the Americans made a determined stand, killing and wounding British soldiers at every step. An attack upon the British right flank, convinced British General George Prevost to recall his troops and abandon his hope of capturing the American naval base. Sackets Harbor remained in American hands, providing numerous ships to the U.S. Navy and maintaining American naval superiority on Lake Ontario. We now have the opportunity to protect 184 acres at these two New York battlefields. First, we are working to preserve 160 acres at Fort Ann the first acres we have ever saved in New York state. And another first - 24 acres at Sackets Harbor - is the first land we have ever saved at a War of 1812 battlefield. Altogether, we can save these 184 acres valued at more than $1.7 million for $78,500. That’s a $22.04-to-$1 match. Together, these two battles represent the bravery and resilience of American soldiers people who stood up against great odds to protect this great nation and its ideals. Help us protect their legacy by saving these two battlefields. Thanks to our $22.04-to-$1 match, we already have more than 94 percent of the funds needed to save this land. Help us raise the remaining 6 percent to save this crucial American hallowed ground.